As the federal Conservatives continue to hammer the Liberal government over the controversial transfer of Tori Stafford’s killer to a healing lodge, the murdered girl’s father says the issue is about morals, not politics. But he said that if raising the issue in Parliament is what it takes for the transfer to be reversed, he’s OK with it. “I don’t believe this should be one of our major political issues. This comes down to morals,” Rodney Stafford told Don Martin, host of CTV’s Power Play, on Wednesday. 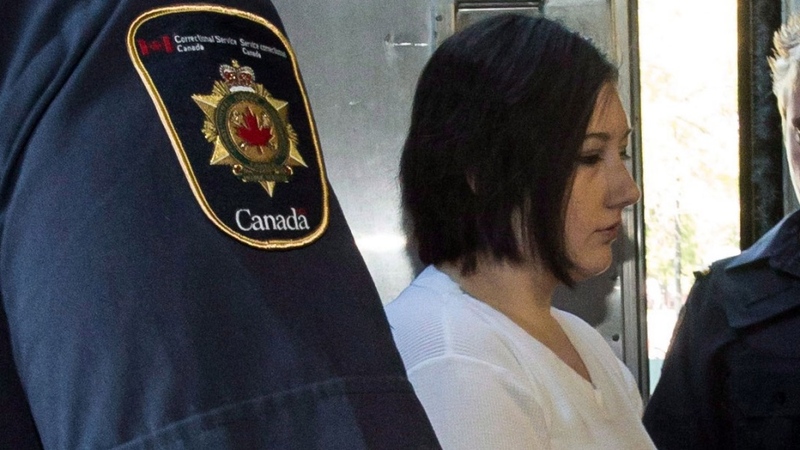 The Conservatives have been criticizing the Liberal government ever since it was revealed in late September that the Correctional Service of Canada had transferred Terri-Lynne McClintic from the Grand Valley Institution for Women near Kitchener, Ont., to the Okimaw Ochi Healing Lodge for Aboriginal Women in southern Saskatchewan. McClintic pleaded guilty in 2010 to first-degree murder in Tori’s death. The eight-year-old was lured away from her Woodstock, Ont., school in April, 2009, before she was raped and beaten to death with a hammer. McClintic’s then-boyfriend, Michael Rafferty, was found guilty of murder, kidnapping and sexual assault in Tori’s death. “I just want justice served. Victoria’s life was taken. She deserves justice,” Rodney Stafford said. 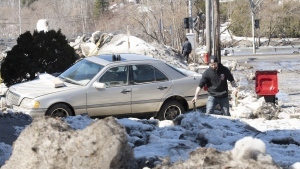 The Conservatives forced the Liberals on Wednesday to vote on a motion in the House calling on the government to condemn the McClintic transfer and reverse it. The motion was mainly supported by Conservative MPs, with the government and NDP caucuses voting against. Prime Minister Justin Trudeau called the Tories “ambulance chasing politicians” during an exchange in the Commons. Trudeau doubled down on that accusation after question period. He told reporters that it’s “unfortunate that the House has gotten to a place where there is such use of terrible tragedies for political gain. “The Conservatives are terribly upset that I referred to them as practising ambulance chasing politics, but if they’re upset it’s probably because it sting a bit,” Trudeau said. Last week, the federal government announced it would be reviewing the decision. Public Safety Minister Ralph Goodale announced he has asked the Commissioner of Correctional Service to re-assess the decision to make sure it was done in accordance with policy. 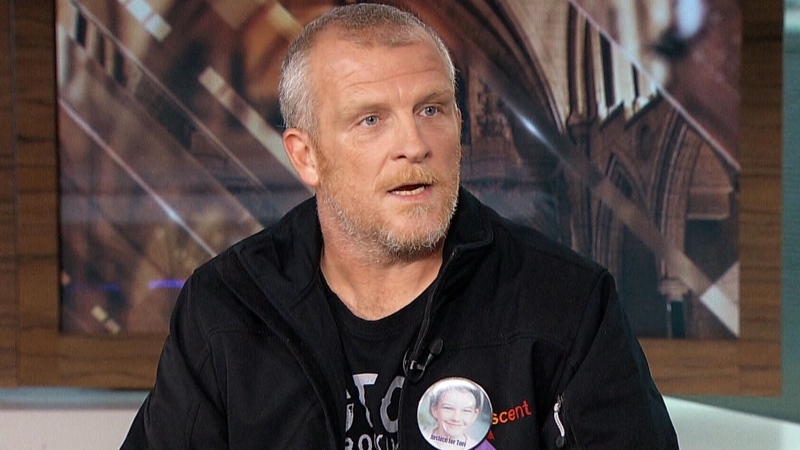 Stafford said that although he doesn’t see the transfer of his daughter’s killer as a political issue, he believes that it needs to come before Parliament to force changes in the justice system. He and others are planning a protest on Parliament Hill on Nov. 2. After the Tory motion on the issue was defeated Wednesday, Conservative House Leader Candice Bergen criticized the government’s response to the McClintic transfer. “It was a bad decision, it was the wrong decision, and the prime minister (needed to) have stated that, and then stated that he would correct it,” she said. Bergen said Trudeau’s government could very easily set a policy that anyone convicted of killing a child could not be in a healing lodge. She accused the prime minister of failing to stand up for Tori’s family. Rodney Stafford speaks to CTV's Power Play on Wednesday, Oct. 3, 2018. Relatives of murder victim Tori Stafford are outraged by the transfer of one of her killers to an Indigenous healing lodge in Saskatchewan.